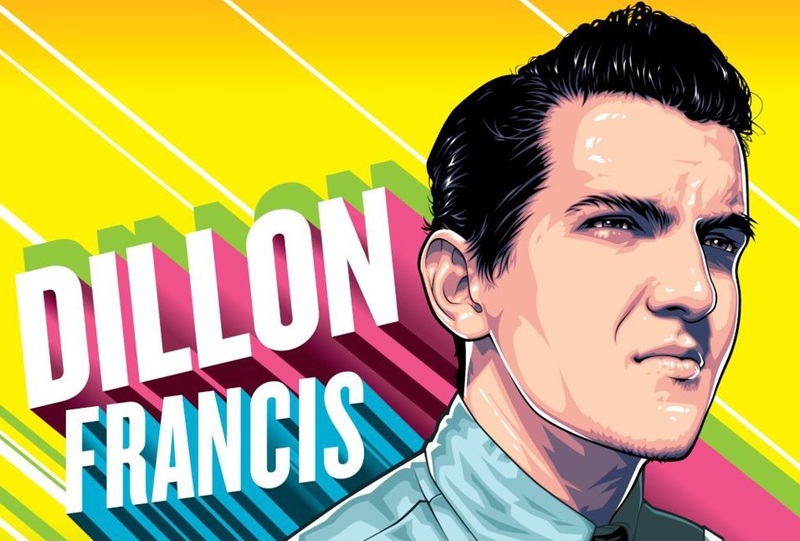 Dillon Francis opens his new year basket with some exciting talk! DJ Producer and Superstar Dillon Francis rings in the new year in classic fashion as he drops the beat on Australian audiences at the recently concluded Vh1 Supersonic and Field Day. But the highlight of his life has got to be the Shoe-ie he pulled off the other night! And I’m not joking, Dillon Francis drank beer from a shoe to the shrieks and screams of millions of Australians. Catching up with Triple-J later, Dillon gives us a peek about his upcoming ventures this year, why he likes being different and what brings out the crazy in him when he’s not on his turntables, before breaking the ice on his exciting ride that he set out on with MTV. And when quizzed about his India tour, the DJ is all praise and says that it was an amazing experience, playing to all those intriguing fans out there in numbers. Read more about his India Tour. Opening the doors to a Beatport remix contest for deadmau5‘s ‘Some Chords’, Dillon Francis feels there is another Madeon in the making and with talent oozing out of every crack, its just a matter of time before his team lay their hands on the gold. But apart from all this, there is something to look forward to from Dillon Francis himself, as he reveals there’s an upcoming ‘Imperium’ remix in the making. Although he doesn’t get down to the specifics, we can be rest assured that when he does open the gift wrap, it’ll be as big a hit as his moombahton monster ‘I Can’t Take It’. The American music producer lets out the DJ in him speak, as he tells us about his ultimate dream of owning a submarine and hosting the deepest house party in the world. But he surely saved the best for the last when he went on air about his new pilot for MTV. Previous article 5 EDM Videos that you ‘must’ watch !